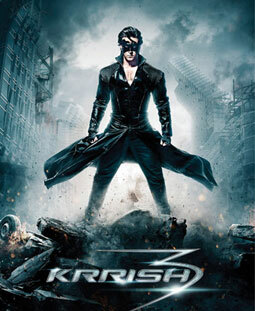 The song Raghupati Raghav Raja Ram is from movie Krrish 3. The lead roles of the movie are Hrithik Roshan and Priyanka Chopra. Kangna ranaut has given her voice in this song as female playback singer. Here you will find the complete Lyrics of Raghupati Raghav Raja Ram from movie Krrish 3 (2013).